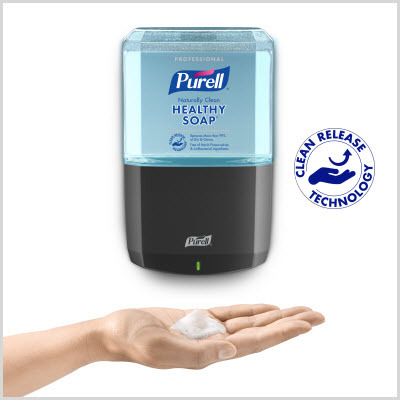 Gentle on skin, contains no antibacterial ingredients* and removes over 99% of dirt and germs. 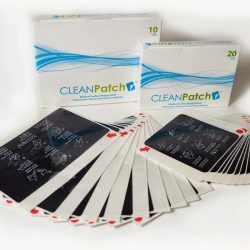 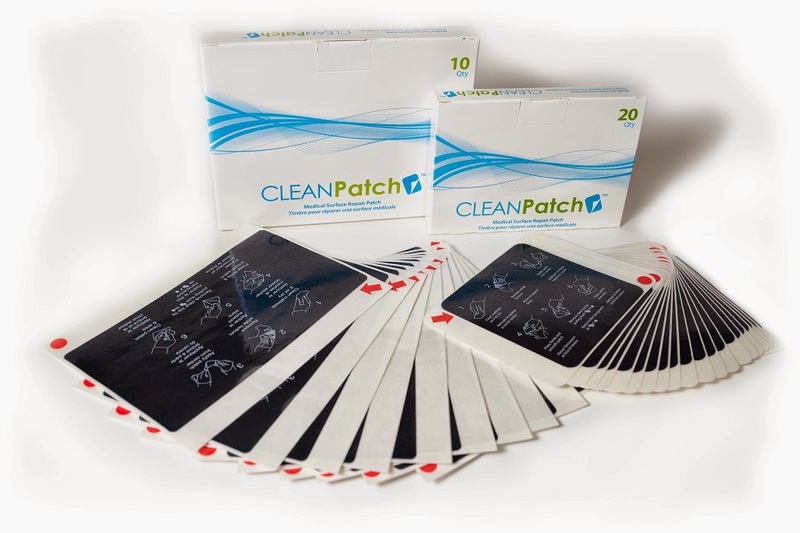 CLEAN RELEASE™ Technology reaches deeper into skin’s cracks and crevices to gently remove more dirt and germs than regular soap. 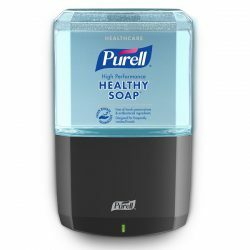 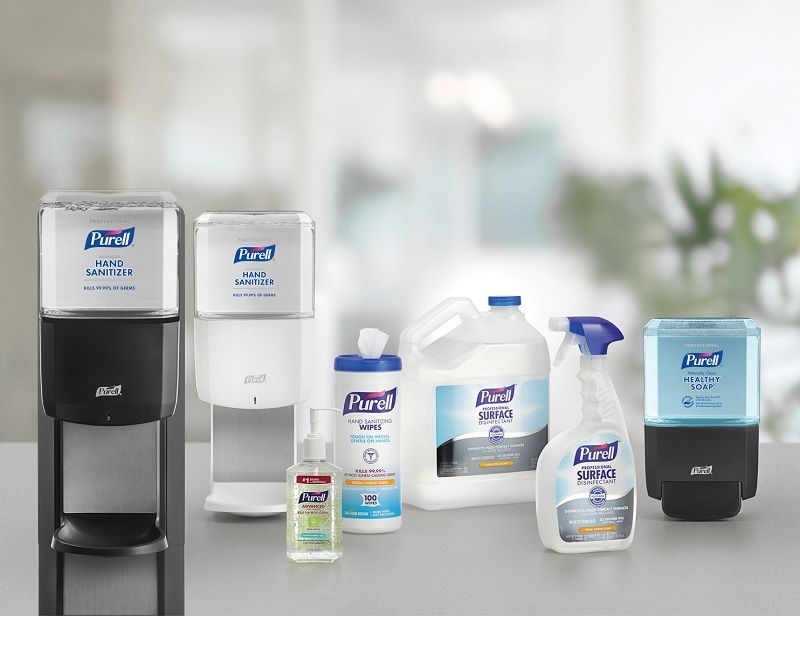 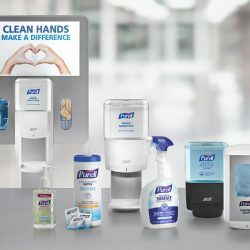 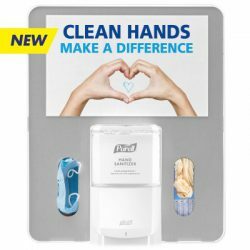 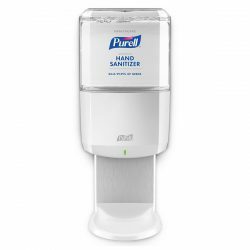 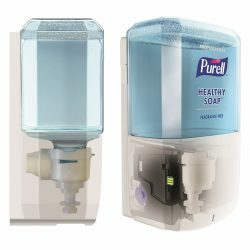 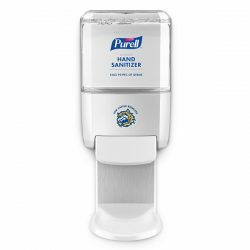 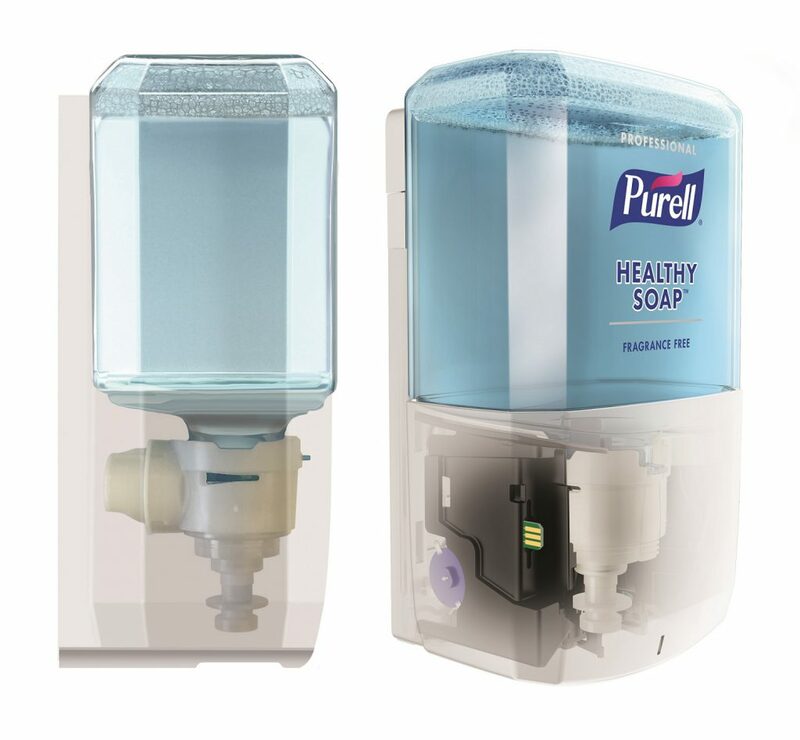 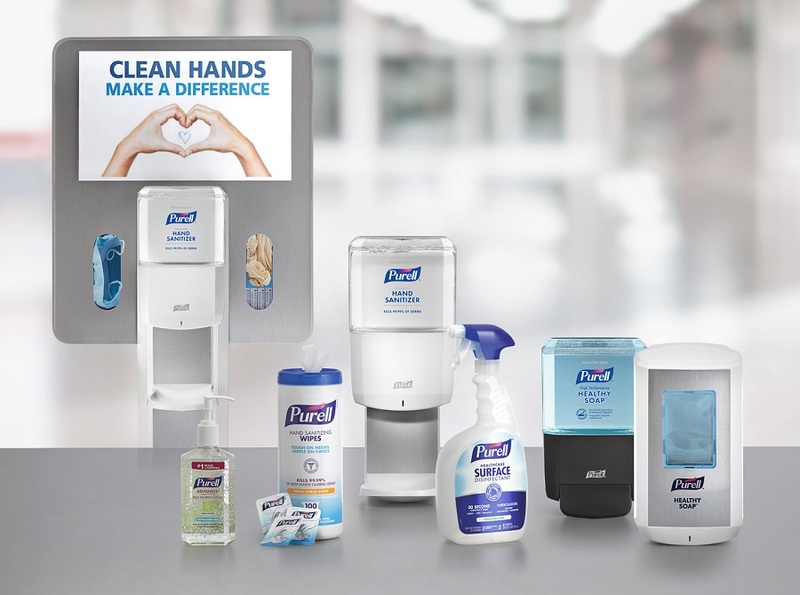 When you choose new PURELL® ES8 hand hygiene dispensers, each new refill comes with its own energy source – a coin cell battery that’s integrated into the refill. 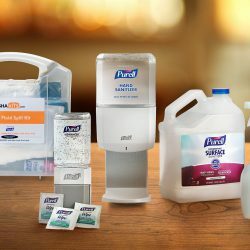 When you replace the empty refill, you get fresh product and fresh energy in one simple step! 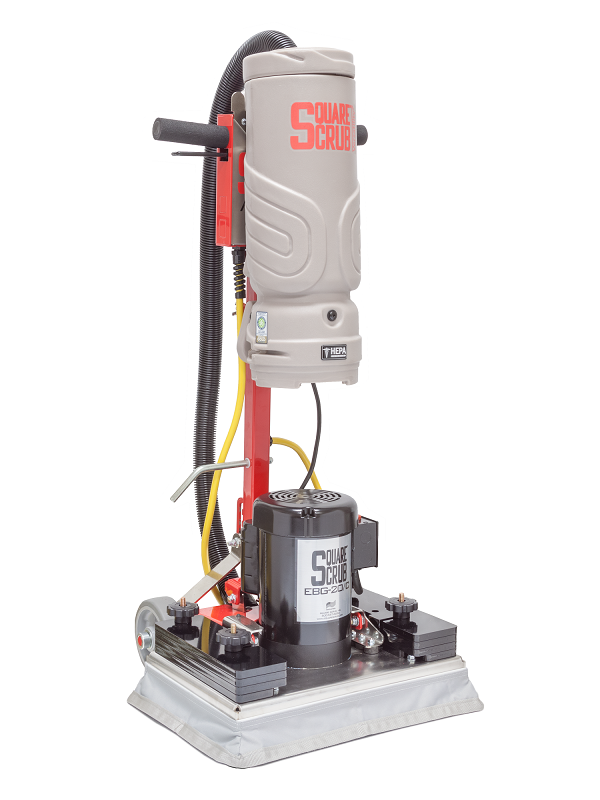 The most versatile orbital machine in the market. 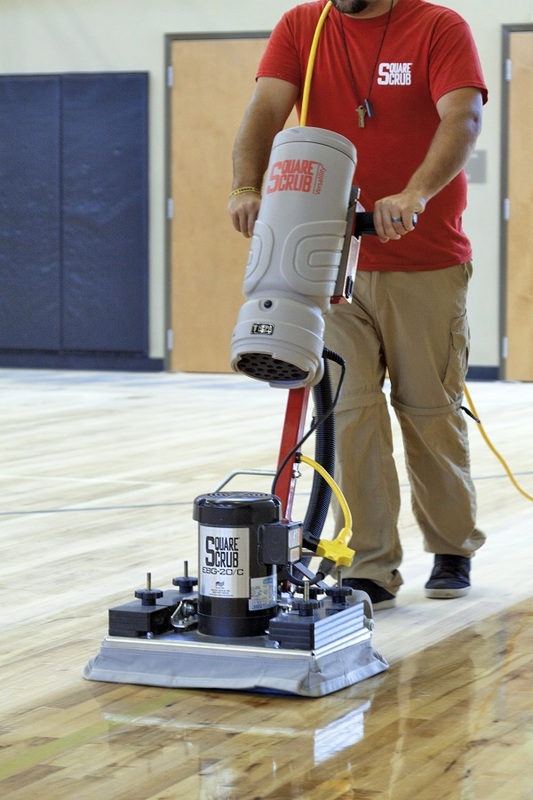 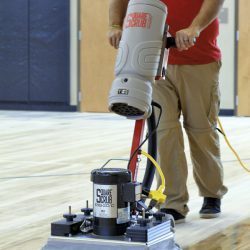 Whether it’s gym floors, marble or carpet, the EBG Series machines will outperform the competition. 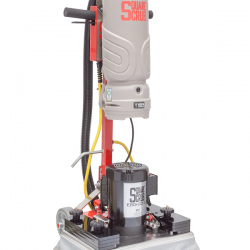 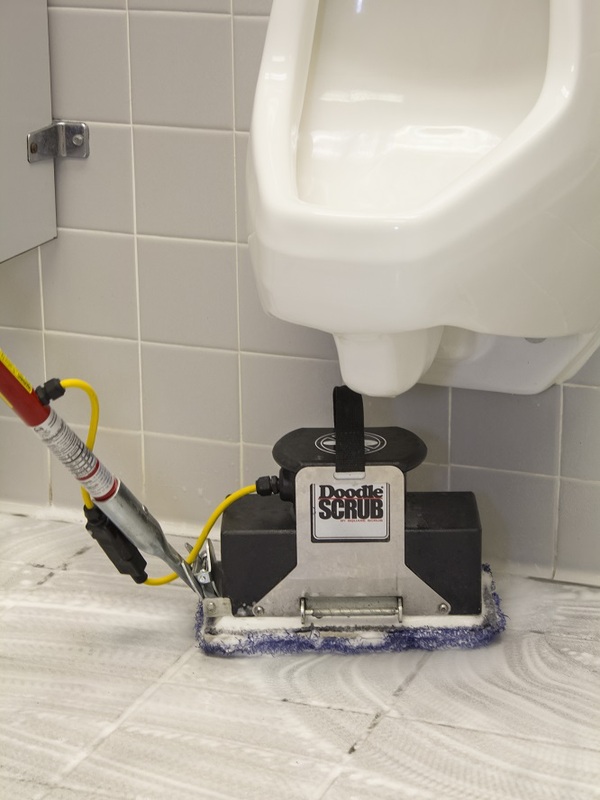 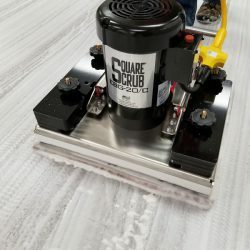 The Square Scrub EBG-20/C comes standard with slotted weights for fast and easy removal, allowing you to tailor the machine to the specific needs of your work surface – Up to 329lbs. 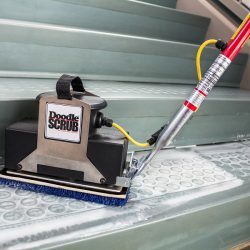 Tired of having to work on hands and knees to deep scrub hard-to-reach corners? 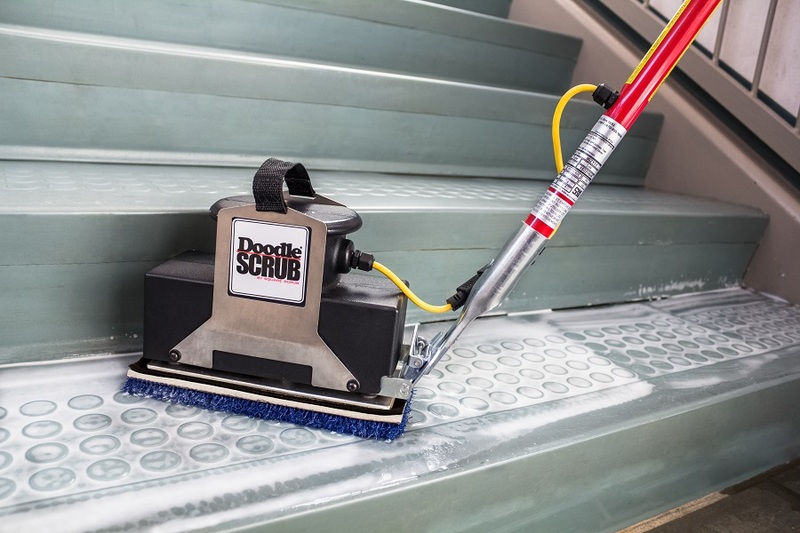 Introducing Doodle Scrub®! 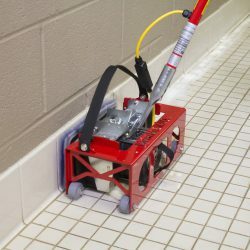 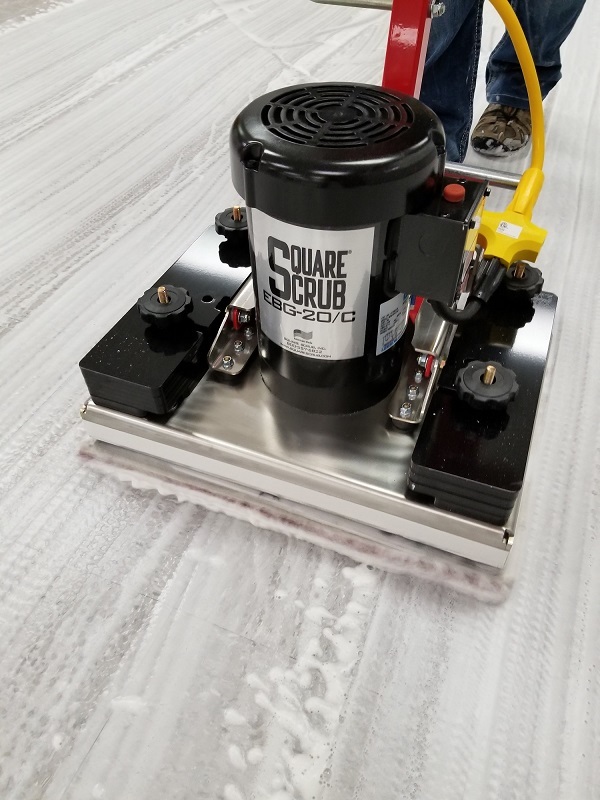 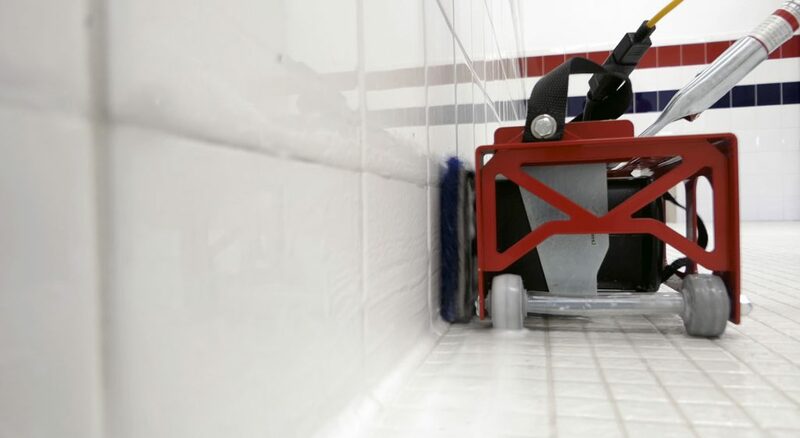 At 4,100 RPM, it makes short work of caked-on dirt and grime; the most highly effective baseboard scrubbing machine available. 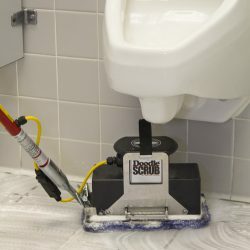 Fits underneath sinks, reaches around and behind toilets, under bathroom stalls and urinals, on stairs and more. 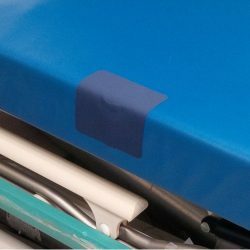 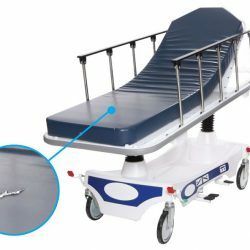 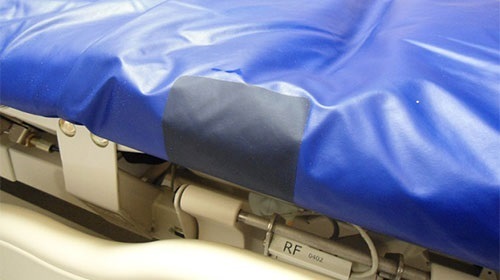 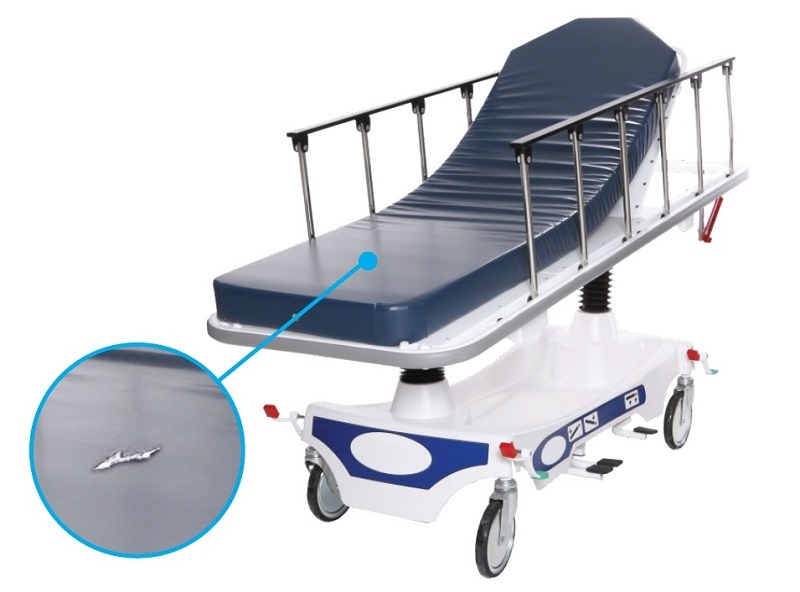 A first-in-class FDA registered medical surface repair product that restores damaged mattresses to an intact and hygienic state. 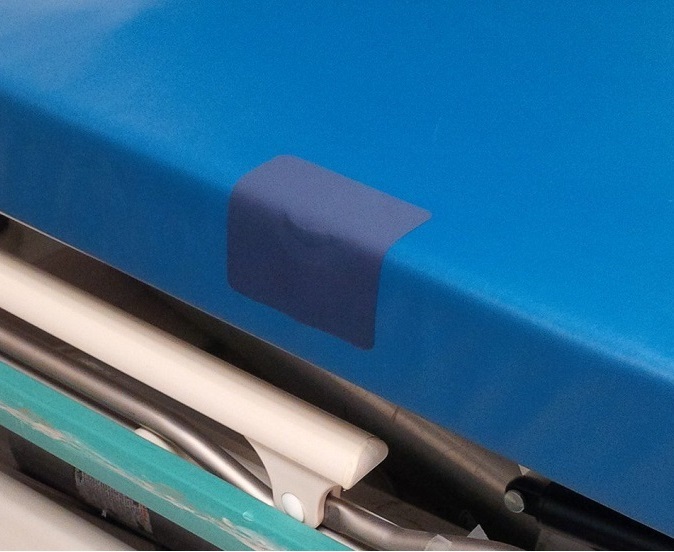 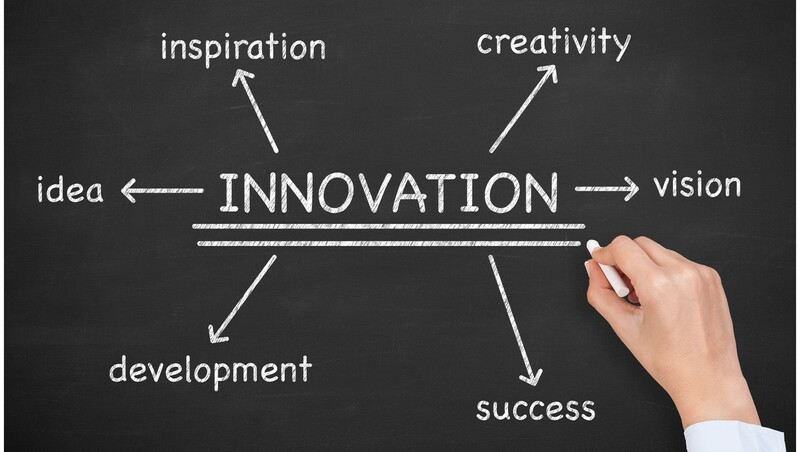 It is important to catch damage early and restore the mattress surface to an intact and hygienic state in order to preserve performance characteristics and cleanability. 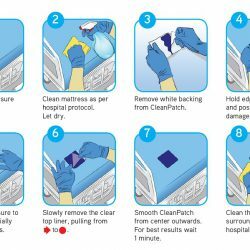 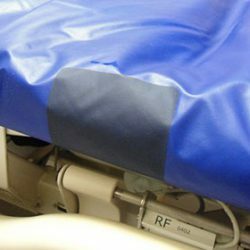 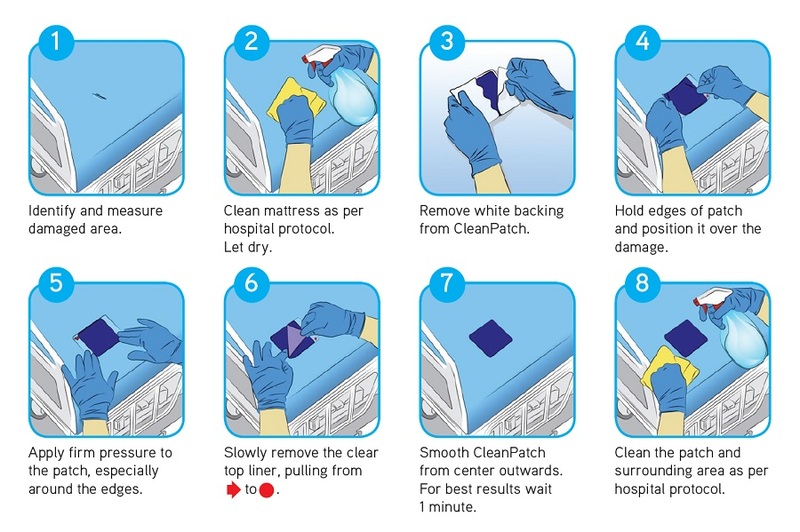 Damaged mattress surfaces cannot be properly cleaned and may become a risk to patient safety. 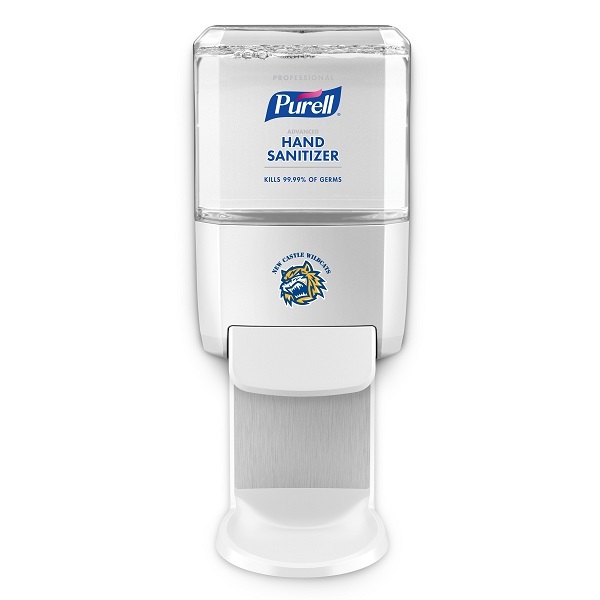 Safe and Simple: Apply in seconds. 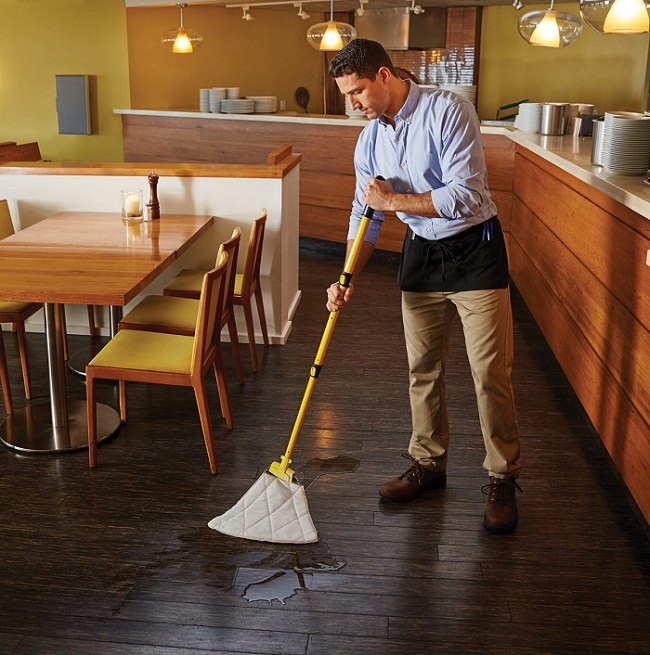 The new spill mop absorbs up to 32 ounces of water, allowing the floor to dry faster than a cotton string mop. 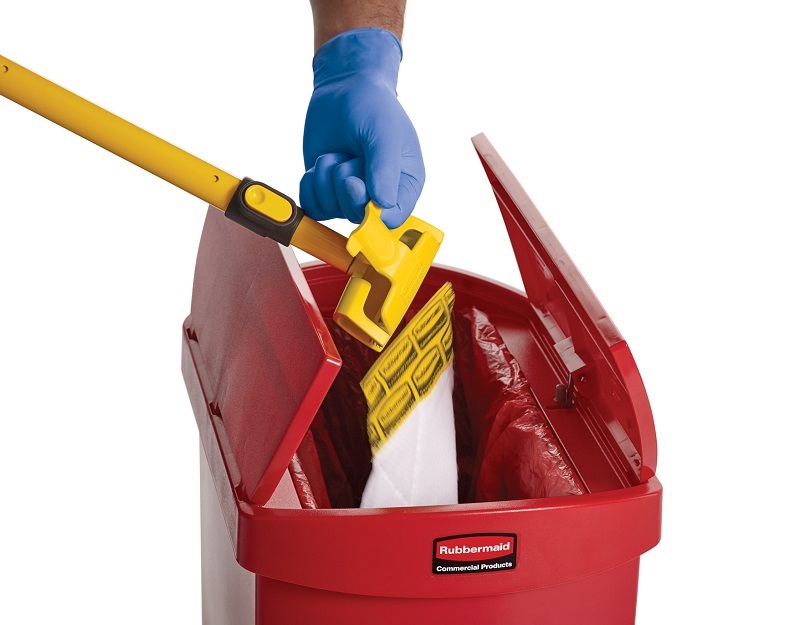 The absorbed liquid is locked inside the mop material to prevent drips or leaks during disposal. 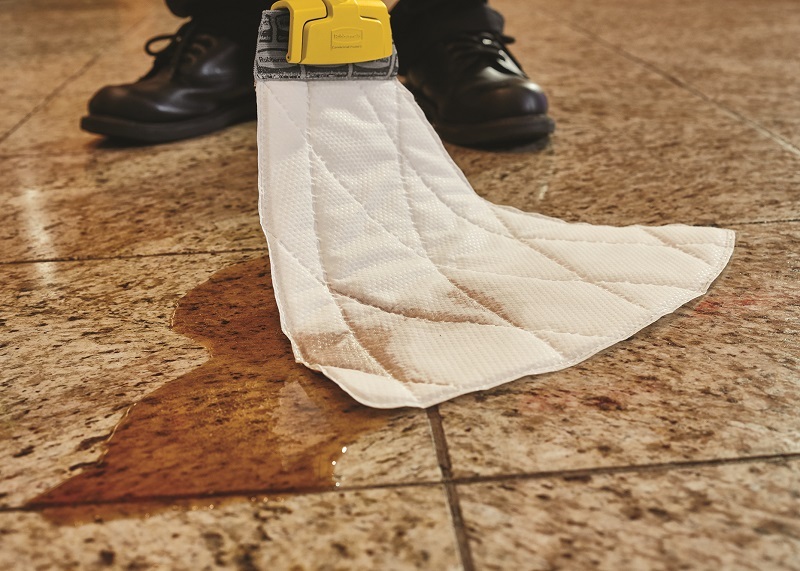 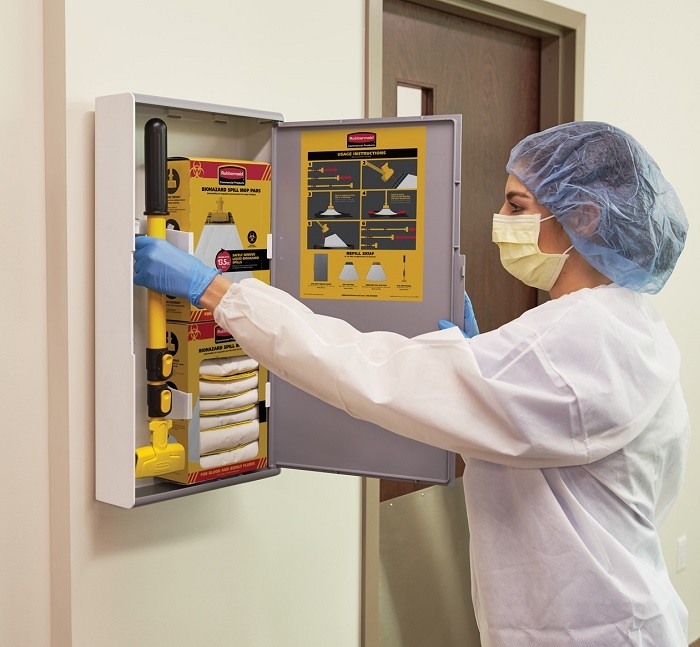 Biohazard spills can be especially difficult to remove, causing sanitation and safety concerns for patients and staff. 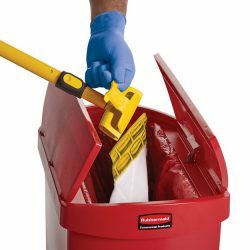 The new Biohazard Spill Mop Pad material is designed to absorb bodily fluid and blood and turn it into a gel to prevent dripping and help make biohazard spill cleanup safe. 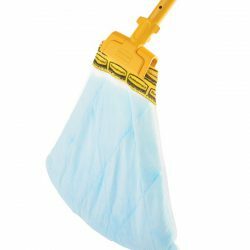 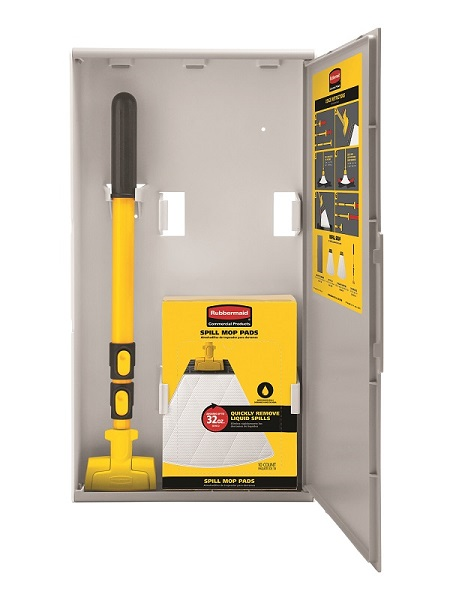 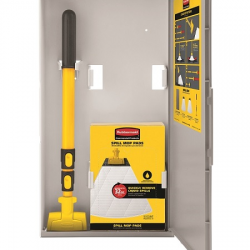 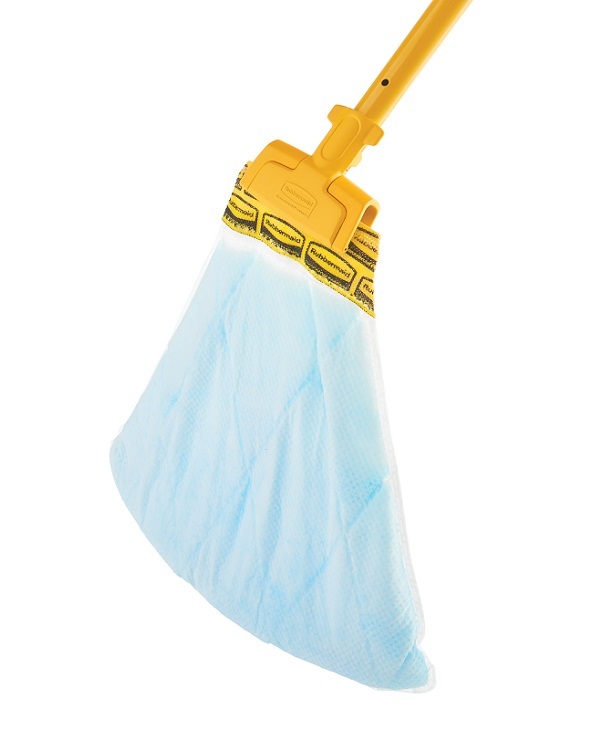 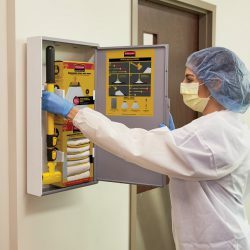 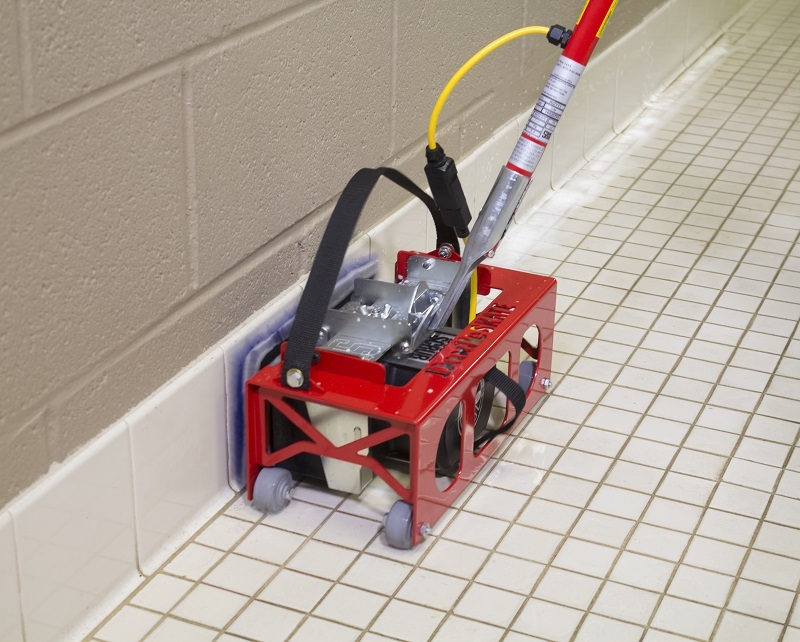 The mop easily attaches to the mop head and includes an integrated release lever to dispose of the soiled mop, minimizing contact with hazardous materials.